Heat produced at the tool-chip interface during high speed milling operations have been known as a significant factor that affect to tool life and workpiece geometry or properties. This paper aims to investigate cutting temperature behaviours of AISI H13 (48 HRC) under high speed machining circumstances during pocketing. The experiments were conducted on CNC vertical machining centre by using PVD coated carbide insert. Milling processes were done at cutting speeds 150, 200 and 250 m/min and feed rate were 0.05, 0.1 and 0.15 mm/tooth. Depths of cut applied were 0.1, 0.15 and 0.2 mm. Tool path method applied in this experiment was contour in. Results presented in this paper indicate that by increasing cutting speed the cutting temperature is lower than low cutting speed. However, by decreasing feed rate leads to cutting temperature low. Cutting temperature phenomena at the corner of pocket milling were also investigated. The phenomena showed that cutting temperature tends to decrease a moment when cutter comes to the corner of pocket and turning point of tool path and increase extremely a moment before leaving the corner and turning point. 1. Sato, M., Tamura, N., & Tanaka, H. (2011). Temperature variation in the cutting tool in end milling. Journal of Manufacturing Science and Engineering, 133(2), 021005. 2. Coz, G. L. & Dudzinski, D. (2014). Temperature variation in the workpiece and in the cutting tool when dry milling Inconel 718. International Journal of Advanced Manufacturing Technology, 74(5), 1133–1139. 3. Fata, A. G. J. (2011). Temperature measurement during machining depending on cutting conditions. P&A Science and Technology, 1(2), 16-21. 4. Sivasakthivel, P. S., & Sudhakaran, R. (2013). Optimization of machining parameters on temperature rise in end milling of Al 6063 using response surface methodology and genetic algorithm. 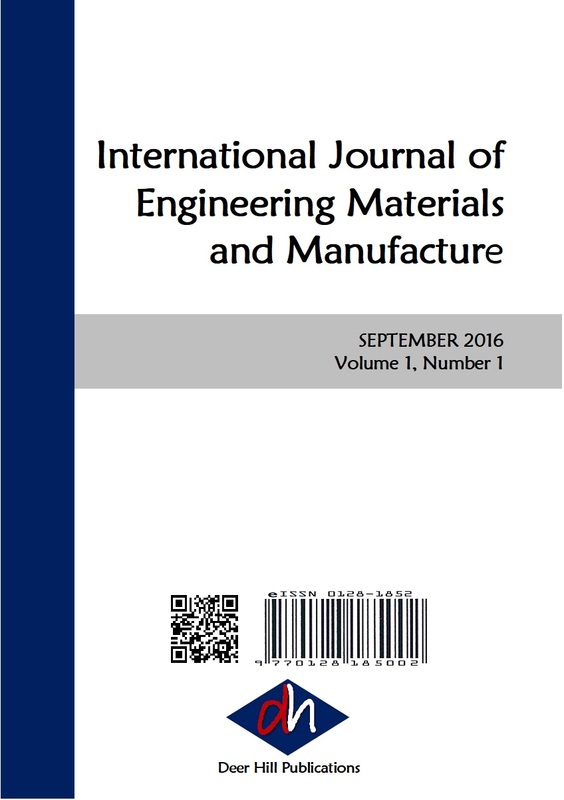 International Journal of Advanced Manufacturing Technology, 67(9), 2313–2323. 5. Suhail, A. H., Ismail, N., Wong, S. V. & Jalil, N. A. A. (2011). Workpiece surface temperature for in-process surface roughness prediction using response surface methodology. Journal of Applied Sciences, 11(2), 308-315. 6. Adesta, E. Y. T., Riza, M., & Ali, M. Y. (2012). Cutting force impact to tool life of CT5015 in high speed machining by applying negative rake angles. Applied Mechanics and Materials, 117-119, 633-638. 7. Salomon, C. J. (1931). Process for machining metals of similar acting materials when being worked by cutting tools. German patent: 523594. 8. Longbottom, J. M., & Lanham, J. D. (2006). A review of research related to Salomon’s hypothesis on cutting speeds and temperatures. International Journal of Machine Tools & Manufacture, 46(14), 1740–1747. 9. McGee, F. J. (1979). High speed machining study: methods for aluminium workpieces. American Machinist, 121-126.